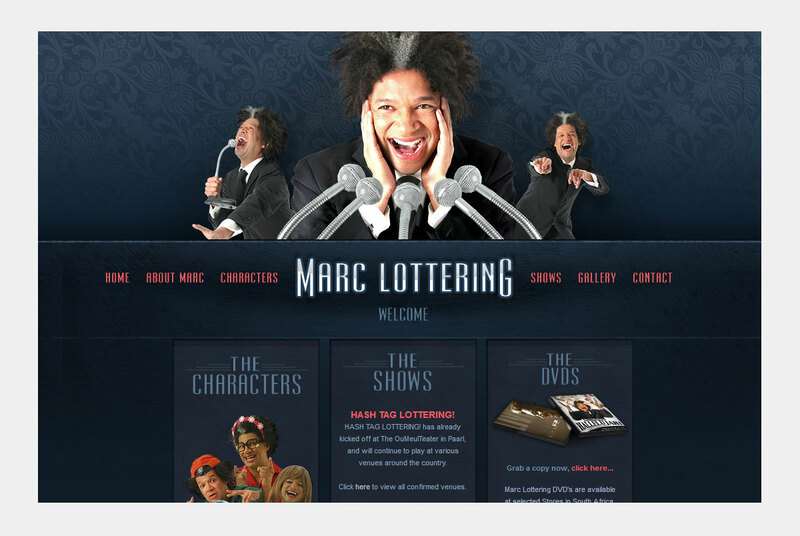 Welcome to the world of Marc Lottering, a fun and interactive site for one of South Africa's favourite stand-up comedians. 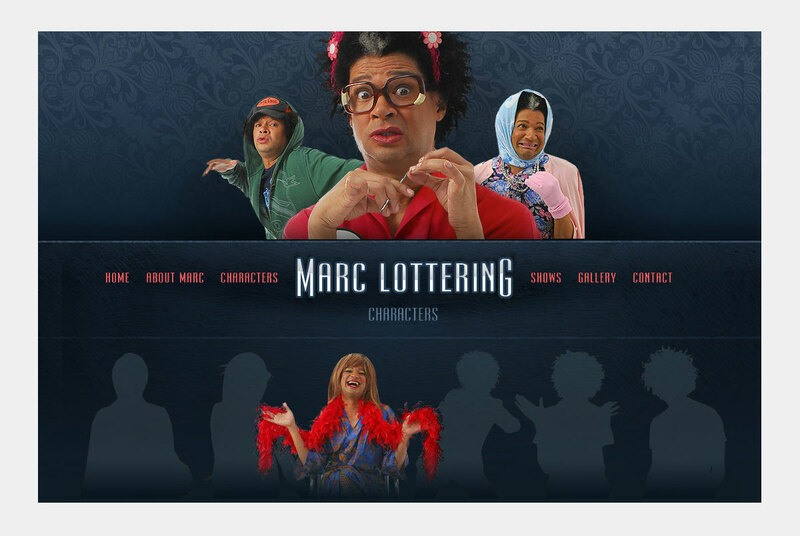 Featuring all the favourite characters such as Aunty Merle, Smiley, Colleen the cashier, Pastor Brandon, and of course the big hair and purely South African sense of humour of Marc Lottering himself. Extensive use of Flash animation and sound clips.